Google today added the Sony Xperia Z3 to the list of devices able to download and test the Android N Preview. Z3 owners can obtain the Android N Developer Preview 2 code directly from Sony, but will have to manually flash it to their device. Once this preview is flashed, the Z3 will be able to install future Android N updates over the air. The Nexus 5X, 6, 6P, 9, and Player are already compatible with the Android N Preview. Sony today said a limited number of people can download and install its concept user interface for Android 6.0 Marshmallow on either the Xperia Z3 or Z3 Compact. Sony says the concept is rolling out slowly over the coming weeks and will be updated over time with new features and experiences. Sony is using this program to test what will eventually become its signature user interface for devices running Marshmallow. Participation in the program is being kept in check so Sony can manage it more easily. Sony today said it has prepared Android 5.1 Lollipop for a number of its Xperia smartphones and tablets. The updated operating system is available to the Xperia Z3, Z3 Compact, Z3 Tablet Compact, Z2, and Z2 Tablet. 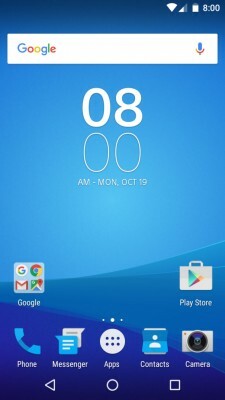 Sony said it blended the features of Android 5.1 with its own user interface tweaks. For example, users now have more control over the volume and silent mode functions; can enjoy tighter integration with LinkedIn; and should experience faster, more accurate Superior Auto Mode with the camera. Sony also added some business-focused features. Though Sony is pushing the system update, timing of its arrival will depend on region and carrier. Sony said it should have Android 5.1 ready for the Xperia Z1, Z1 Compact, and Z Ultra in the coming weeks, followed closely by the Xperia T2 Ultra, C3, and, finally, the original Xperia Z Series. T-Mobile confirmed via Twitter that it is no longer selling Sony's flagship smartphone, the Xperia Z3. T-Mobile offered the device for just 6 months. The Z3 is still for sale directly from Sony's U.S. web site. 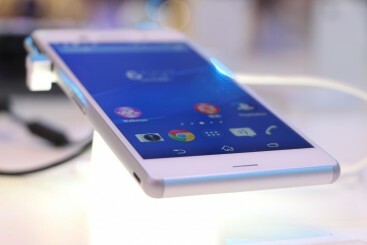 Sony is offering it unlocked for $569. T-Mobile plans to make some of its handsets compatible with its 700MHz spectrum through a software update. Today, only the Samsung Galaxy Note 4 and Galaxy Note Edge can use LTE on T-Mobile's 700MHz spectrum. T-Mobile said it will provide the system update to the Motorola Nexus 6 in the early part of 2015, followed by the Sony Xperia Z3 and Samsung Galaxy Avant in May, and the ZTE Max later this year. Two tablets and T-Mobile's Z915 LTE 4G Hotspot also support the 700MHz airwaves. T-Mobile is supplementing its AWS-based LTE network with its 700MHz holdings in select markets around the country. The company is still in the process of deploying LTE to all its 700MHz spectrum. Sony today said the Remote Play app is now available to the Xperia Z3 family of devices. Remote Play allows PS4 owners to play theiir console games on their smartphone or tablet via Wi-Fi when at home. In addition to the Z3, Sony said it will offer Remote Play to the Z2 smartphone and Z2 tablet in the coming weeks. Remote Play is one of the core functions of the Z3 touted by Sony when it was announced in September. In addition to the smartphone, Remote Play is compatible with a number of accessories, including the Dual Shock controller and a smartphone stand. Remote Play is free to use. 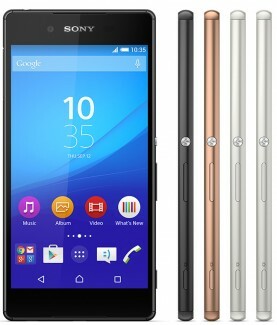 T-Mobile today announced it will sell the Sony Xperia Z3 online and in stores beginning October 29. Customers can place preorders for the device starting at Noon on October 15. Preorders may arrive before the device reaches stores on October 29. T-Mobile is asking for $0 down followed by 24 monthly payments of $26.25. The Z3 smartphone has a 5.2-inch full HD screen and is waterproof. It also features a 20.7-megapixel camera, compatibility with Sony PS4 Remote Play for gaming, and Sony's lifelogging service. Verizon Wireless is also selling the Z3, rebadged the Z3v, beginning October 23. Sony has hatched an ambitious plan to use its booming PlayStation and gaming business unit to support its other, money-losing efforts such as mobile devices. The company this week warned it would report steep loses in its handset division, which is struggling to sell devices. Sony's new plan is to use PlayStation as a hub for entertainment that it can stream to smartphones, tablets, and other devices. Andrew House, chief executive of the game unit, told The Wall Street Journal that it will likely offer its streaming service to non-Sony devices. "A streaming-based approach needs to have a very wide funnel of devices, and that inherently means a broad- and manufacturer-agnostic approach," said House. 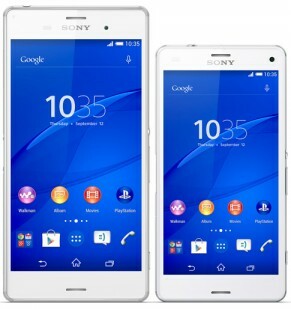 Sony recently unveiled a lineup of new smartphones, including the Xperia Z3 and Xperia Z3 Compact. Both of these devices will be certified to interact with the PlayStation 4, Sony's current gaming console. Sony said it will launch this streaming service in the U.S. before the end of the year.